Do you want to give your dog a fun filled play date (daycare)? Or maybe a doggie slumber party (boarding)? Just let us know the dates and which location via email : info@fogcitydogs.com or give us a call (415) 642-3647 (DOGS). Has your pooch ever come to play with us before? If not, we’d like to meet your best friend to make sure that she will be friendly and happy with the rest of the pack. All dogs must complete a one time temperament evaluation prior to, or on their first visit. Temperament evaluations are scheduled by appointment. They usually take less than 30 minutes and include a tour of our facility. 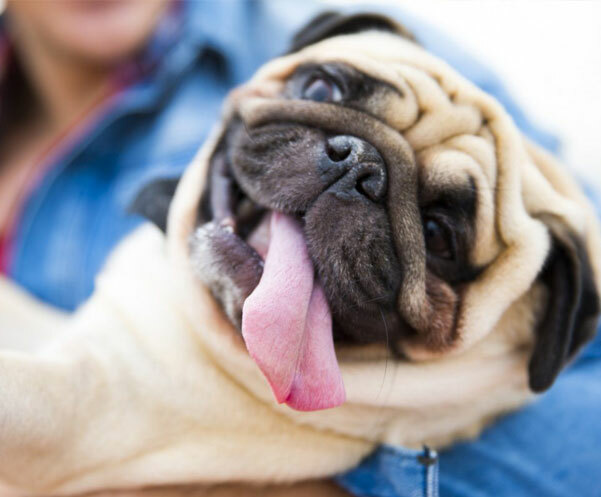 To begin the evaluation you will need to provide proof that your dog has current vaccinations against rabies, DHPP, canine influenza and bordetella. Please note that the bordetella and canine influenza vaccinations are not automatically given by most veterinarians unless requested, so you will want to double check your paperwork prior to coming for the evaluation. Because we are introducing your dog to our pack, all vaccinations must be present and current before beginning the evaluation. Once you are ready to set up the time and location for the evaluation, it is best to give us a call at (415) 642-3647 (DOGS). All dogs over 7 months of age must be spayed or neutered. Customers should provide adequate food to last their dog’s entire stay. Fog City Dogs offers food for purchase but recommends you keep their diet the same for their stay. If your dog fails to eat, multiple attempts will be made on a daily basis. We recommend bringing extra in case your stay is extended or our measurements are slightly different. Extra/left over food will be returned. Fog City Dogs asks that you not bring bowls from home. Our dishes are washed daily and are highly durable. Your dishes may be damaged or lost in our daily cleaning regimen. All dogs must be current on our four required vaccinations: rabies, DHPP, canine influenza and bordetella. Dogs over 7 months should be spayed/neutered. All new customers must complete both pages of this form. Please note, we will fill in the vaccination section. You need only bring in the documentation from your veterinarian showing required vaccination information. Call us today to schedule your dog's next stay!